The Roxbury International Film Festival is back and it's looking bigger than ever. With 50+ films to offer, I'm sure everyone can find something that they're interested in. The 12th Annual Roxbury International Film Festival (RIFF) kicks off Thursday, July 29th and runs through Sunday, August 1st. We will screen more than 50 films including features, shorts, documentaries and youth-produced works over four days. This year's festival offers a dynamic mix of entertainment networking, international film screenings and community-based programming for families and filmmaking enthusiasts. I just watched the trailer for Children of Invention. It looks interesting. And I always love movies filmed in Boston, so that's a plus. 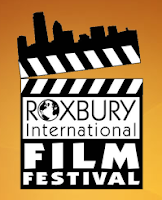 0 Response to "12th Annual Roxbury International Film Festival - 7/29"